NEST Jewelry ebony wood long beaded necklace. Long round smooth ebony wood bead strand. 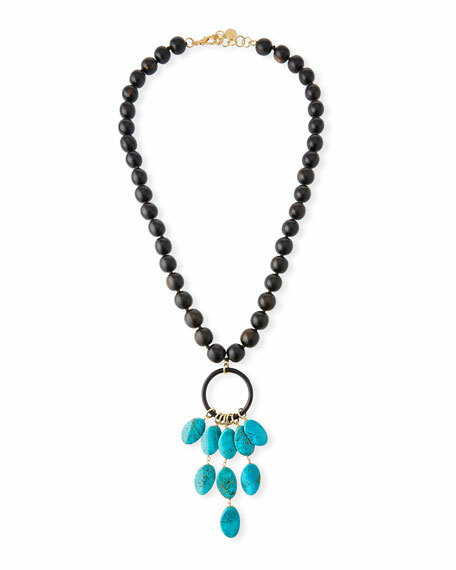 Open circle pendant with turquoise dangles.